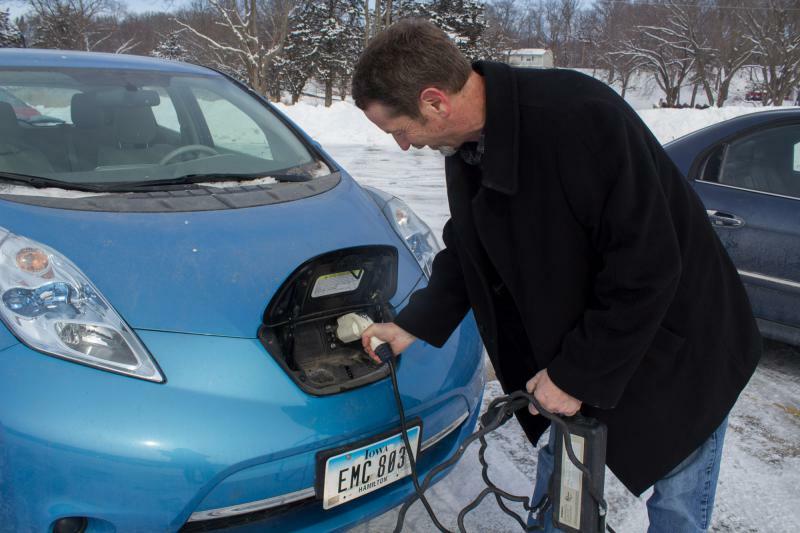 At Hummel’s Nissan in Des Moines, Kevin Caldwell sells the all-electric Leaf. Driving one is basically the same as driving a typical gasoline or gas-electric hybrid car, he said, except for a few new features like the semi-autonomous hands-free option. And the fact that you plug it in rather than pumping gas into it. About a quarter to a third of Caldwell’s Leaf customers are farmers, some of whom grow corn for ethanol.